14-20 x 3/1/4 in Star Drive ReamerTek Wood to Steel Screw / 1M per carton approx. 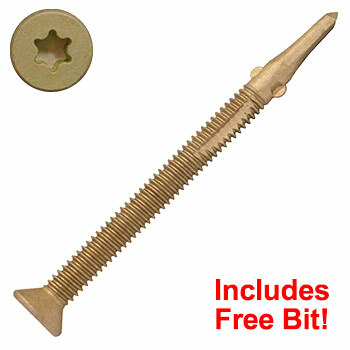 Includes Free T30 Bit A specialized self-drilling fastener designed specifically for fastening plywood and other wood products to steel or aluminum. The reamer wings drill through the wood layer and snap off on contact with steel or aluminum.